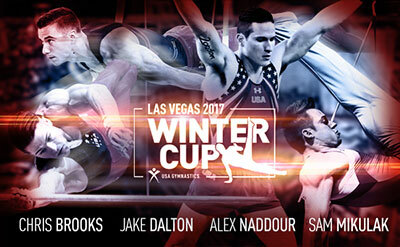 INDIANAPOLIS, Feb. 3, 2017 – Four members of the 2016 U.S. Men’s Olympic Team are expected to compete at the Winter Cup Challenge in Las Vegas, Feb. 16-18, at the Westgate Las Vegas Resort. 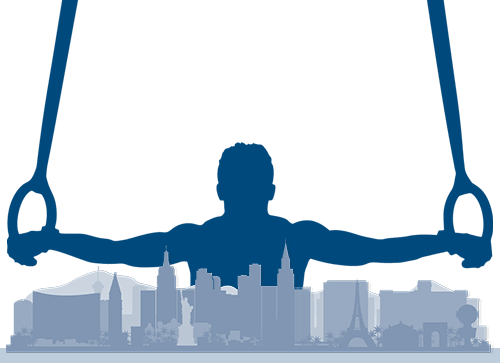 Performances at the 2017 Winter Cup will determine 15 members of the 2017 U.S. Men’s National Team through the 2017 P&G Gymnastics Championships, Aug. 17-20, in Anaheim, Calif. The field also includes 2013 World floor exercise silver medalist and 2011 World team bronze medalist Steve Legendre of Port Jefferson, N.Y./University of Oklahoma; 2016 Pacific Rim team and vault gold medalist Eddie Penev of Rochester, N.Y./U.S. Olympic Training Center; and 2015 Pan American Games team & pommel horse champion Marvin Kimble of Milwaukee, Wis./U.S. Olympic Training Center. Other senior national team members registered for the 2017 Winter Cup Challenge are: Donothan Bailey of Lake Forest, Calif./U.S. Olympic Training Center; Sean Melton of Orlando, Fla./Ohio State University; Yul Moldauer of Arvada, Colo./University of Oklahoma; and Kanji Oyama of Huntington Beach, Calif./University of Oklahoma. Jacob Moore, West Bloomfield, Mich./Twistars USA Inc.